Waterfall Info: This is a wet-weather waterfall on an unnamed tributary of Smell Creek in the creek's headwaters. It was first documented by Greg Ford. A local name that came up for the falls is Fairy Falls - please let us know if this is the correct name for it. 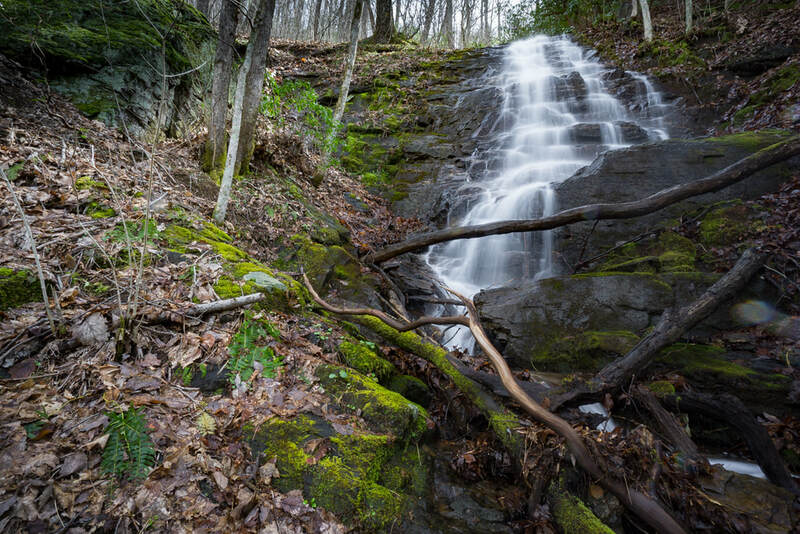 Access Info: Follow FS 377 from Craig Gap Road (it will probably be gated) for about 1.5 miles to the crossing of the stream with Fairy Falls. Bushwhack upstream for a few hundred feet to the falls.